Percussion music is both the oldest and most recent of musical genres and exists in diverse forms throughout the world. This Companion explores percussion and rhythm from the perspectives of performers, composers, conductors, instrument builders, scholars, and cognitive scientists. Topics covered include percussion in symphony orchestras from the nineteenth century to today and the development of percussion instruments in chapters on the marimba revolution, the percussion industry, drum machines, and the effect of acoustics. 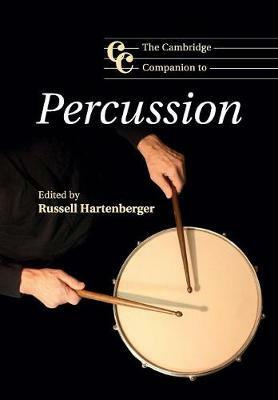 Chapters also investigate drum set playing and the influences of world music on Western percussion, and outline the roles of percussionists as composers, conductors, soloists, chamber musicians, and theatrical performers. Developments in scientific research are explored in chapters on the perception of sound and the evolution of musical rhythm. This book will be a valuable resource for students, percussionists, and all those who want a deeper understanding of percussion music and rhythm.